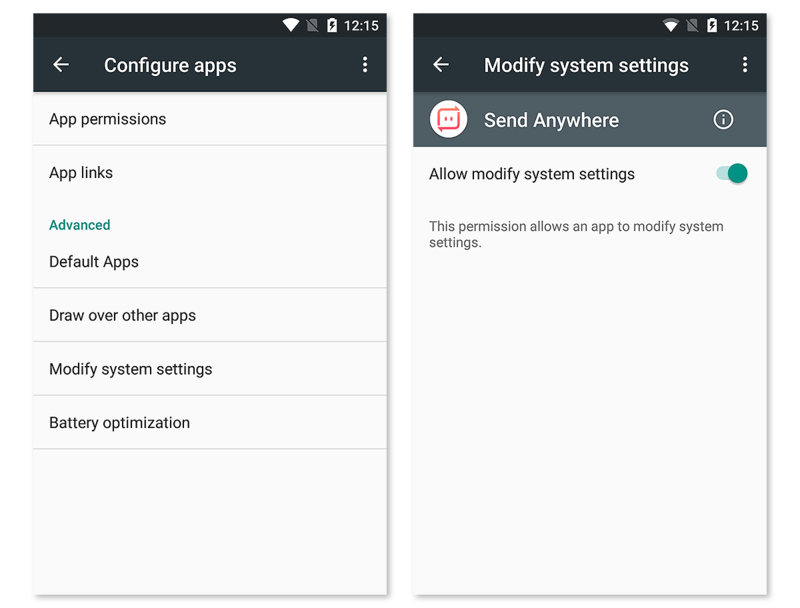 Device Settings > Application > settings Configure Apps > Modify System Settings > Send Anywhere > Allow set to ON. * The location of permissions menu may vary depending on device model. Ask your device manufacturer about how to access your device model’s settings menu.